AutoCleanServerJobs. 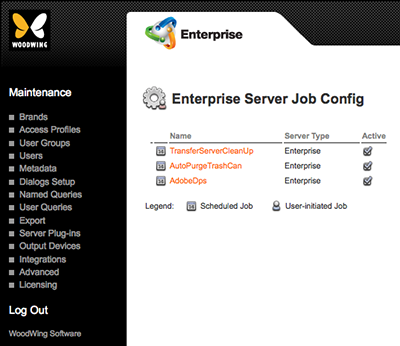 For clearing up the Enterprise Server Jobs Queue. 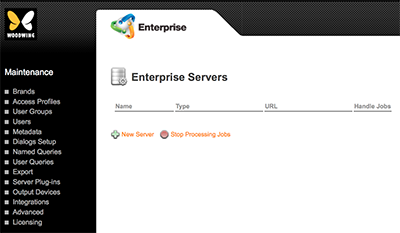 When using this Server Job, please see Deleting Enterprise Server Jobs from the queue in Enterprise Server 10 for additional configuration steps. For performance reasons, a Scheduler would not be needed for machines running Enterprise Server that are configured exclusively as workflow application servers. 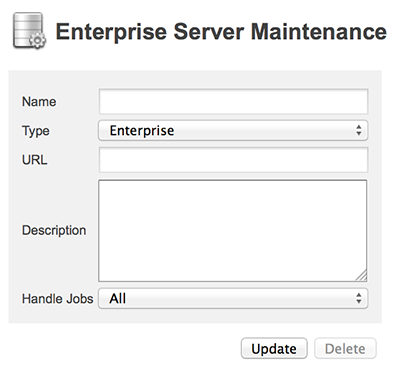 Nevertheless, for Enterprise 10 there are only light administrative job types available. Therefore any server machine can be used, even a workflow application server. More so because those job types are typically run at night time, and therefore do not affect production at all. Nevertheless, due to its great potential, the Server Jobs concept is likely to get used more and more. This includes co-worker jobs that could take away the heavy tasks from the workflow application servers. In other terms, for Enterprise 10 it does not matter greatly which servers you pick to install Schedulers on, but for future versions it might make a big difference in performance and the deployment of additional servers becomes more important.